I love avocado, I love toast and I therefore obviously love avocado toast. When I saw this recipe I knew it would be good, and it didn’t disappoint. A great, simple lunch that reminded me of home (because yes, the rumor is true, we eat avocado with pretty much every meal in California). Toast your bread. 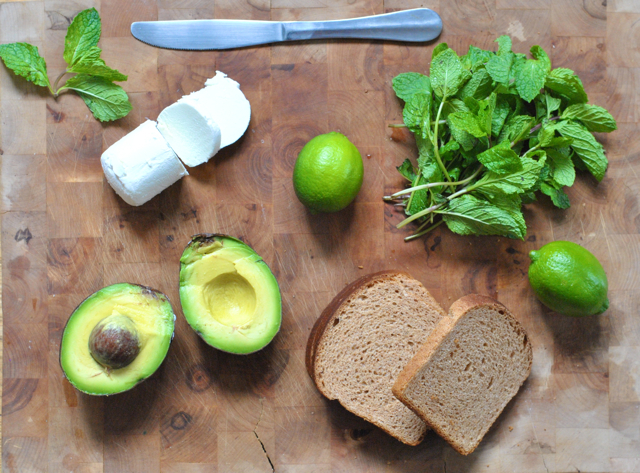 While it’s in the toaster, halve, pit and peel your avocado and scoop out with a spoon. 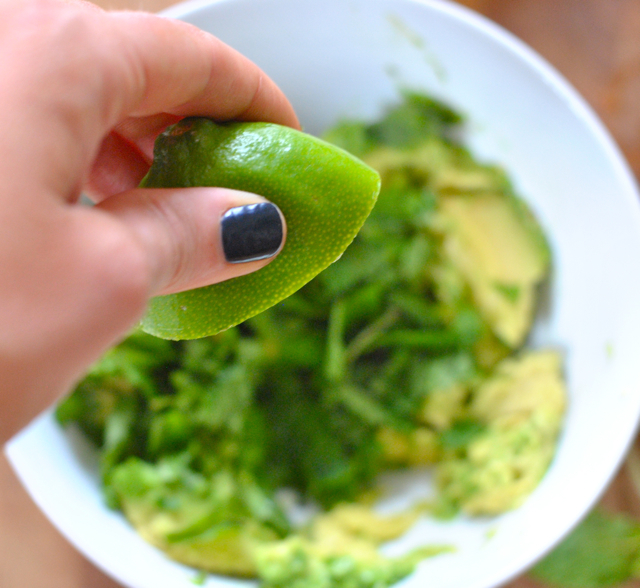 Mash the avocado with a fork and mix in the lime juice and mint. Crumble your cheese and fold it into the avocado mixture, leaving some bits chunky. 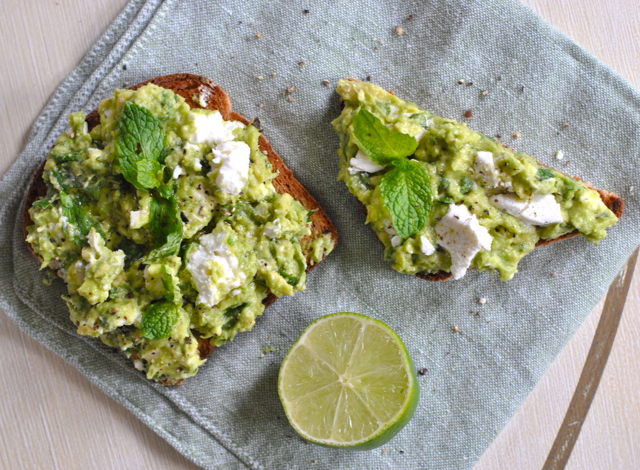 Spread the avocado mixture onto your toast and top with salt, pepper and a drizzle of olive oil. 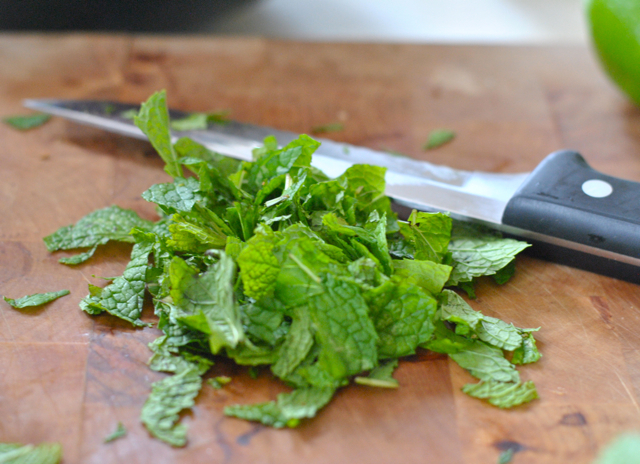 Sprinkle some extra mint to make it pretty and serve with lime wedges on the side. Enjoy on your fire escape, stoop or front lawn with the Sunday Times. 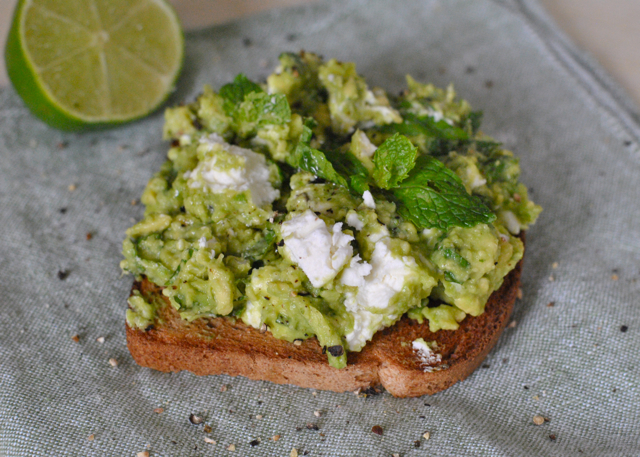 This entry was posted in Cooking and tagged Avocado, goat cheese, helane crowell, Laney Crowell, lime, mint, toast. Bookmark the permalink. Yummy! I love avacado too!!!!! The cheese sounds different. Can I use munster cheese? I love food that is good for me and not a lot of salt! Yay! Yummy!!!!!!!! 🙂 I can’t wait to start eating this. TY. I agree with her! YUMMY!!!!! And I also read the NY Times every SUNDAY, cover to cover! Omg, this sounds amazing. Your food always makes me drool!